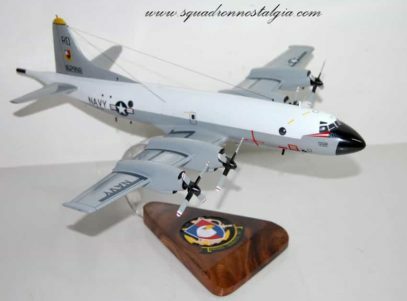 Proudly capture your time with this squadron with a 18 inch wooden P-3 Orion of the VP-47 “The Golden Swordsmen”. Each piece is carefully carved from wood and hand painted. Patrol Squadron FORTY-SEVEN came into existence with the commissioning of VPB-27 at Harvey Point, North Carolina, on 1 June 1944. Its initial deployment was to Hawaii in the PBM “MARINER” aircraft. In World War II, VPB-27 actively participated in the Okinawa Campaign. After the war, the squadron remained in the Western Pacific to fly courier missions. The need for military forces in the Western Pacific soon diminished and VPB-27 returned to Hawaii and was ultimately redesignated VP-47. In 1949, VP-47’s PBM aircraft could be seen on patrols from Alaska to Mexico, flying out of their new homeport in San Diego. The squadron deployed to Saipan, Sangley Point, Republic of the Philippines and Oppama, Japan in January of 1950. With the advent of the Korean conflict, VP-47 extended its deployment to Japan to play a supportive role flying patrol missions and courier routes in the Western Pacific. By the end of the conflict, VP-47 had made three deployments in support of United Nations forces in Korea and made a home port change to Alameda, California. Here the squadron acquired the new P5M-2 seaplane. Adopting as their motto, “The Best in the West,” VP-47 flew the Navy’s most modern seaplanes on four deployments to Iwakuni, Japan. 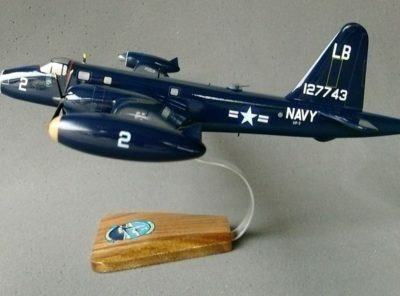 The next five years were highlighted by winning the Dual Pilot Aircraft Safety Award in 1955, the Commander Naval Air Pacific Forces “Fleet Battle Efficiency” Award in 1956 and the Chief of Naval Operations Safety Award for seaplanes in 1957 with over 7,000 accident-free hours flown. The squadron was again awarded the CNO Safety Award in 1960 for flying over 8,000 accident-free hours. As the new decade began, VP-47 retrained in SP-5B seaplanes at their new homeport, Whidbey Island, Washington. In 1962, the squadron deployed with the USS CURRITUCK to Kodiak and Cold Bay, Alaska. Subsequently, the “Golden Swordsmen” joined the USS SALISBURY SOUND in 1964 for another challenging deployment to Cold Bay. VP-47 saw a great change in climate and operations in 1964 when they departed for Sangley Point, Republic of the Philippines in support of Seventh Fleet operations. During this tour, Patrol Squadron FORTY-SEVEN distinguished itself as the first full patrol squadron to be deployed to Vietnam. In March of 1965, VP-47 moved to Moffett Field, California. Here the squadron transitioned from the SP-5B to the new Lockheed P-3A Orion, thus entering the modern era of Antisubmarine Warfare (ASW) Operations. By January of 1966, the newly trained “Golden Swordsmen” were flying in WESTPAC out of Naha, Okinawa and Sangley Point, Republic of the Philippines. Adding the Bullpup missile to its weapon inventory, VP-47 returned to Naha, Okinawa in June of 1967, becoming one of the first missile-equipped squadrons in WESTPAC. VP-47 continued to prove the worth of the P-3A during its next two deployments to Sangley Point and Naha in 1968 and 1970. In April of 1971, the squadron received a Meritorious Unit Commendation from the Philippine Air Group for its actions against enemy supply lines in the South China Sea. 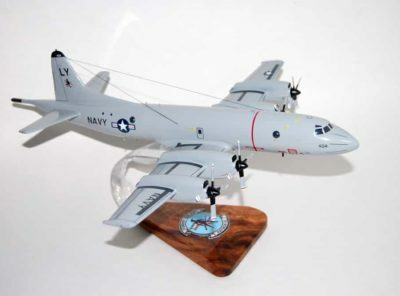 Upon returning to Moffett Field, the squadron transitioned to the P-3C, the Navy’s more advanced, computerized ASW aircraft. 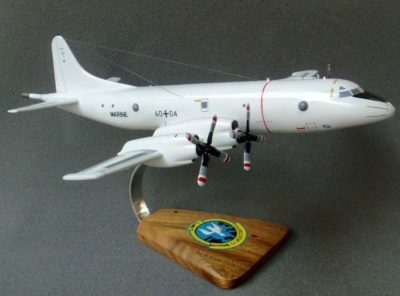 In early 1971, VP-47 was once again fully operational as the first P-3C squadron in the Pacific Fleet. By June of the same year, VP-47 was operating out of Adak, Alaska. A second Meritorious Unit Commendation followed in 1972 for the squadron’s invaluable support of the Cannakin Project in Amchitka during its 1971 Adak, Alaska deployment. In 1972, VP-47 began operating a tri-site deployment that stretched across the Pacific and included Adak, Guam and Moffett Field. In August, with the entire squadron back at Moffett Field, VP-47 eceived the Royal Canadian Air Force Coastal Command Trophy for achieving the highest ASW proficiency during the previous Battle Efficiency competition cycle. After returning to Moffett Field in January of 1975, the squadron won the Isbell Trophy in April and a second Royal Canadian Air Force Coastal Command Trophy in May, for completing a remarkable 24 months of continuous “Alpha” crew status and maintaining the highest possible standards in ASW performance. VP-47 deployed to Misawa, Japan in February 1976 where another Battle “E” was awarded to the squadron three months into the deployment. Following the deployment, the squadron returned from its successful WESTPAC tour to resume training and EASTPAC operations out of Moffett Field. In December of 1976, the “Golden Swordsmen” received the Tactics Bowl Trophy for their noteworthy contributions to the annual Tactics Bowl Competition. The squadron deployed to Misawa, Japan again in July 1977 and operated detachments at Kadena, Atsugi, Guam and Cubi Point, Republic of the Philippines. The squadron conducted another successful deployment to Kadena in 1979. The “Golden Swordsmen” detached to Adak, Alaska from 10 May 1979 to 10 May 1980, assuming the duties of Task Unit 32.3.1. 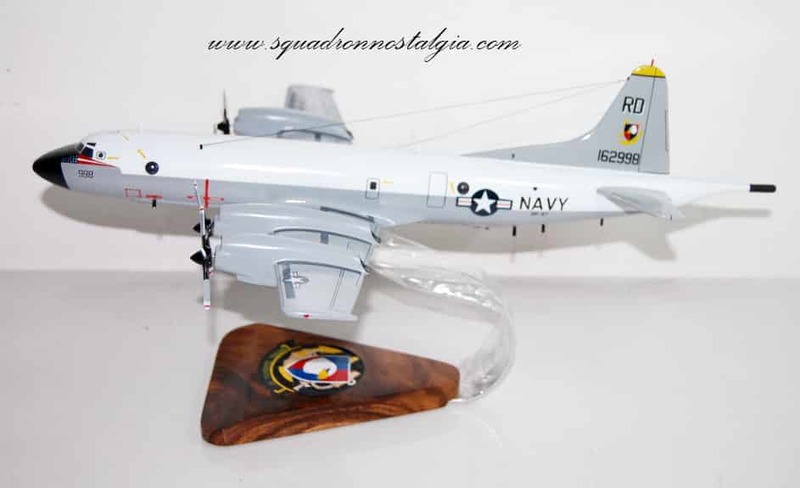 The squadron was nominated as Naval Weapons Proficiency unit of the year and was runner up for Mining Readiness in the Pacific Fleet during 1980. VP-47 returned to Misawa, Japan on 10 January 1981, to serve under Commander, Task Force 72. VP-47 returned to Moffett Field in June of 1981. Over the next twelve months, the “Golden Swordsmen” passed every major inspection with outstanding marks.On 10 June 1982, the “Golden Swordsmen” deployed again to Japan. During this period the squadron received accolades from Commander, Seventh Fleet, Commander, Task Group 72 and Commander, Patrol and Reconnaissance Force, Seventh Fleet. In August of 1984, the squadron deployed to Kadena, Okinawa to assume the duties of Task Group 72.2. During this time, VP-47 supported Commander, Seventh Fleet with detached operations to Misawa, Cubi Point, Guam, Adak and U-Tapao, Thailand. On 10 January 1986, VP-47 made its first deployment to Diego Garcia, British Indian Ocean Territory (BIOT). VP-47 was presented with the Donald M. Neal Aircraft Maintenance Award for maintenance excellence. On 10 August 1987, VP-47 returned to Misawa, Japan for another successful deployment. VP-47 returned to Moffett Field in February of 1988. In May of 1988, the squadron surpassed 15 years and 100,000 hours of accident-free flying. 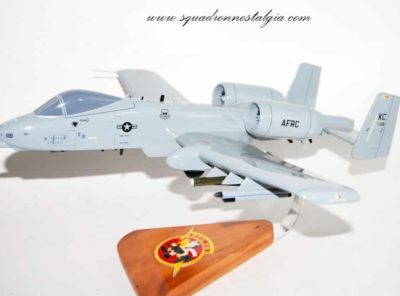 The squadron maintained a split deployment to Kadena, Okinawa and Moffett Field from January 1989 to July 1989. Upon return, the squadron was awarded the 1988 Donald M. Neal Award for excellence in aircraft maintenance, marking the second time in 3 years the “Golden Swordsmen” earned the prestigious award. VP-47 deployed to Adak, Alaska from June of 1990 to December of 1990. 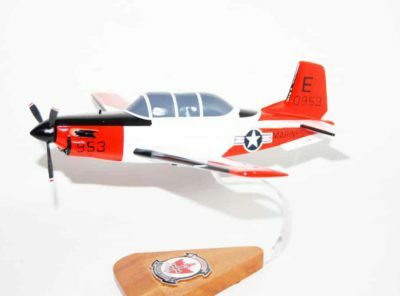 The squadron distinguished itself by conducting high interest ASW operations and flying 3,443 flight hours without mishap. In June of 1992, the squadron returned from an outstanding WESTPAC deployment while attached to CTF 72. Based out of Misawa, Japan, VP-47 conducted highly successful detachments to Cubi Point, Kadena, Diego Garcia, Townsville, and Masirah, Oman. The squadron flew over 3,500 mishap-free flight hours while performing numerous operational missions as well as assorted littoral visits. “Golden Swordsmen” aircrews were awarded the “Golden Lens” award and Crew of the Month each month while on deployment. VP-47 began its at-home training cycle in July 1992. During this period, the “Golden Swordsmen” achieved the highest wing score for the Mine Readiness Certification Inspection and the highest on-station effectiveness averages in Patrol Wing TEN during an Encounterex Operational Readiness Evaluation. The hard work resulted in the winning of the Tactics Bowl Championship, the CNO Safety Award and the Battle “E” Award. On June 21, 1993 the squadron changed homeports again, this time to Barbers Point, Hawaii. During the move, VP-47 began their deployment cycle and manned detachments in Adak, Diego Garcia, Misawa and North Island. During the 1994 at-home cycle, the “Golden Swordsmen” participated in numerous exercises including RIMPAC and an Encounterex with the Japanese Maritime Self Defense Force. The highlights of the year included a history-making score on the command Mining Readiness Certification Inspection as well as their highly acclaimed Tactics Bowl submission. In May of 1995, VP-47 returned from WESTPAC deployment to Diego Garcia where they had been conducting demanding detachments to Masirah, Kadena and Jeddah, Saudi Arabia. During this deployment, the “Golden Swordsmen” were awarded the 1994 Donald M. Neal “Golden Wrench” Award for maintenance excellence, their third such award in six years. They were also awarded the Joint Meritorious Unit Award for distinguished service while supporting efforts to extract personnel and equipment from Somalia under hostile conditions during Operation United Shield. A rigorous at-home cycle from May 1995 to May 1996 prepared VP-47 for their next deployment to Misawa and Kadena. 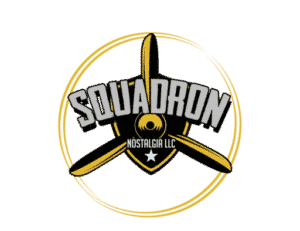 During that time, Patrol Squadron 47 became the first Extended Echo Ranging (EER) qualified patrol squadron and was the first squadron to employ EER tactics in real-world operations. On the homefront, VP-47 entered the “Internet Age” by establishing a home page on the World Wide Web. In November 1996, VP-47 returned from a successful split site deployment to Misawa/Kadena Japan. During this deployment VP-47 conducted the first non-bilateral, USN operations with the Philippines since the departure of U.S. military forces. In addition, VP-47 sent the first crews on detachment to Chennai, India during Exercise Sahara 97. I n Misawa, Japan, the Golden Swordsmen sponsored the Special Olympics at Naval Air Facility Misawa. VP-47 was awarded the COMSEVENTHFLT Tactics “Battle E” for USW during the Misawa/Kadena deployment. From December 1996 to October 1997 VP-47 conducted an extremely successful home cycle. Crews detached to San Diego and Ventura, California, Adak, Alaska, Wake Island, and Chile. In addition, the Golden Swordsmen hosted a Japanese P-3 squadron from the Japanese Military Self Defense Force (JMSDF). VP-47 reached a milestone in November 1997 having accomplished 150,000 mishap free flight hours. Complimenting the command’s operational focus are its well known personnel programs as recognized by CINCPACFLT in awarding the 1997 Golden Anchor award for excellence in command retention and personnel programs management. During the same period VP-47 distinguished themselves by setting the highest Mine Readiness Certification Score in COMPATWINGS PAC history. In June 1998 the personnel in VP-47 returned from a six month quad site WESTPAC/Arabian Gulf deployment to Diego Garcia. Crews and aircraft were detached to Kadena, Japan; Masirah, Oman; Bahrain and Diego Garcia. The Golden Swordsmen flew missions in the Arabian Gulf in support of Operation SOUTHERN WATCH. In addition, VP-47 conducted Maritime Interdiction Operations enforcing United Nations’ sanctions against Iraq. VP-47 received its first ASUW Improvement Program (AIP) P3-C aircraft in March of 1999. The next month VP-47’s fine record of safety was recognized with the Chief of Naval Operations Safety Award. 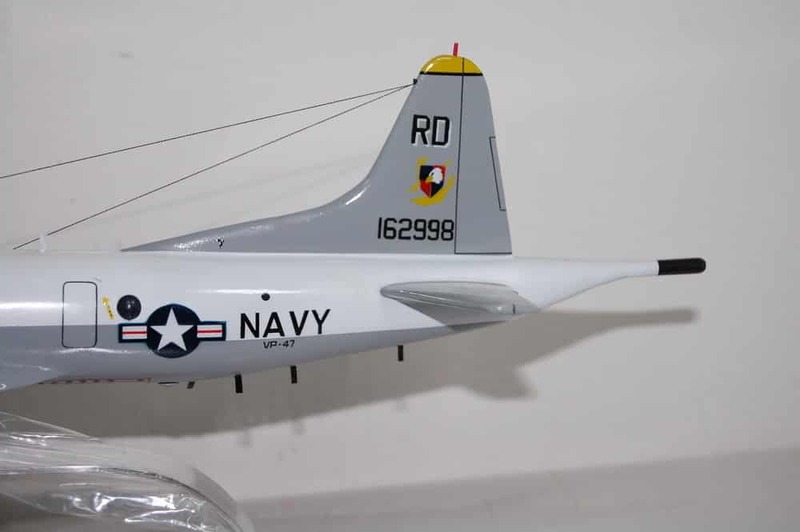 In June of 1999, VP-47 departed for its Misawa, Japan deployment and was the last naval squadron stationed at NAS Barbers Point which closed under the Base Realignment and Closure program. Following a highly successful WESTPAC deployment, VP-47 took residence at its new homeport, Marine Corps Base Hawaii, Kaneohe Bay. In February of 2000, VP-47 was again awarded the prestigious “Golden Wrench” award for its outstanding maintenance record in 1999. In June, VP-47 successfully hosted Maritime Patrol Aircrews from Japan, South Korea, Canada, Australia, and the United Kingdom in support of RIMPAC 2000. In December 2000, VP-47 returned to the Arabian Gulf on a six-month deployment to support Multinational Maritime Interdiction Operations. In June 2002, VP-47 once again deployed to Southeast Asia and flew missions over Afghanistan and the Philippines in support of Operation ENDURING FREEDOM. 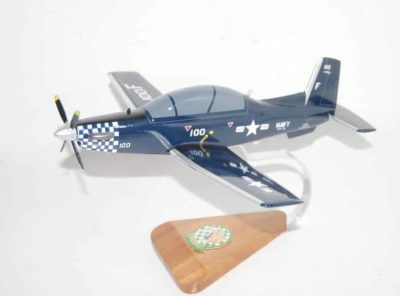 Additionally, the squadron received the Captain Arnold Jay Isbell award for excellence in Air ASW for multiple exercises and operations in Southeast Asia. 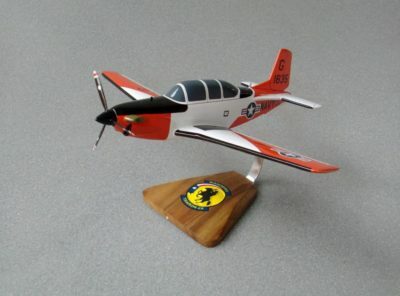 In April 2003, the squadron was the recipient of COMPACFLT’s Gold Anchor Award for retention excellence. 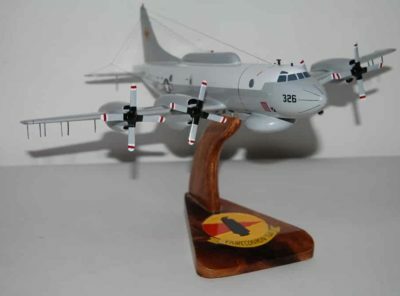 From December 2003 to May 2004, VP-47 was engaged in all phases of Operations ENDURING FREEDOM (OEF) and IRAQI FREEDOM (OIF), flying highly successful combat missions from Bahrain, Diego Garcia, Afghanistan and Djibouti, in support of coalition forces on the ground, in the air and over the high seas. From November 2005 to June 2006, VP-47 conducted anti-piracy operations off the Horn of Africa while simultaneously patrolling the skies over the Arabian Gulf and Iraq in support of OEF and OIF. During this time, VP-47 was also engaged in exercises in the Pacific in support of OEF Philippines. In January 2006, the squadron located the pirated vessel Safina Al Bisarat leading to the U. S. Navy’s first capture of pirates on the high seas in over 200 years. In February 2007, VP-47 flew the only U.S. asset involved in the international rescue effort on the capsized Egyptian cruise liner AL SALAM BOCCACCIO 98 in the Red Sea. In March 2007, VP-47 was awarded the 2006 Golden Wrench Award for maintenance excellence. In June 2007, all Patrol and Reconnaissance Wing Two maintenance departments transitioned to Consolidated Maintenance Organization (CMO-2). Despite training for the SIXTH Fleet/Southern Command Area of Responsibility (AOR), VP-47 responded to a CJCS request for forces and instead deployed to the FIFTH Fleet AOR one month ahead of schedule in November 2007. From October 2007 to May 2008, VP-47/CMO-2 deployed to Tallil, Iraq, in support of OIF with detachments to Djibouti and Al Udeid, Qatar. While deployed, the squadron established Task Group 57.18 at Ali Air Base becoming the first fully-deployed maritime patrol squadron to Iraq. In December 2007, the squadron surpassed 34 years and 200,000 hours of mishap-free flying. The Patrol Squadron Four Seven/CMO-2 Team exceeded all requirements associated with a demanding and dynamic inter-squadron deployment to Iraq, supporting CENTCOM and Multinational Forces-Iraq in their efforts to defeat the counterinsurgency. This deployment saw the “Golden Swordsmen” complete 100% of taskings by flying 850 operational sorties, amassing over 6,100 mishap-free flight hours. VP-47 continued to demonstrate their maritime expertise by leading the U.S. contingent of a multi-national exercise task force during RIMPAC 2008 where they coordinated and flew 40 missions including the successful firing of an AGM-65F Maverick. Additionally, the squadron successfully supported countless carrier and expeditionary strike group workups and exercises from San Diego to Japan. In March 2009, CMO-2 disbanded and maintenance responsibilities returned to VP-47. As America fights the Global War on Terrorism, the men and women of VP-47 stand ready to tackle new challenges, maintain a strong forward presence, and defend our great nation.